RETURNING to the places of our childhood can mean memories of a better time, families intact and obtaining insights about how life unfolded for us. It has been said that in adapting to our world we all lose some of our soul, and in journeying back, we regain some of it. I was to spend a week with my brother Laurie and his wife Pam at their Clunes home in the Central Victorian Goldfields. It wasn't about visiting the people of my past; rather the places that comprise the landscape of my childhood, the towns of the Goldfields that are a part of my identity. Clunes sits within the beautiful valley of Creswick Creek in the heart of the Goldfields region between Maryborough and Ballarat, and has the distinction of being the site of Victoria's first registered gold discovery by James Esmond in 1851. The skyline of Clunes is dominated by the remains of the Port Phillip Mine site, once one of the world's most innovative Deep Lead gold mines and the fourth richest in Victoria. 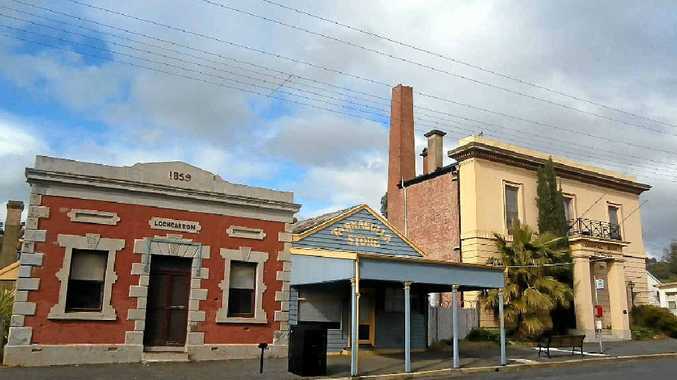 With a population now of about 1500, the town has preserved many of its historic buildings and is recognised as one of the most architecturally intact gold towns in Victoria. Cosy cafes, fascinating old stores, heritage B&Bs, history walks and regular cultural events ensure steady streams of visitors from Melbourne and surrounding areas on weekends. Clunes is an amazingly vital community. Its real treasures are the artists, writers, photographers, booksellers and other professionals and business people who are only too happy to share their expertise, working together to preserve and promote cultural events. As one local said to me, "there is a strong sense of volunteerism here, and an acceptance of difference". Clunes is Australia's only International Booktown, and hosts a festival on the first weekend each May as about 60 local and visiting book traders gather with the largest collection of rare, second-hand and new books in one place in Australia. On this weekend the town is enlivened by more than 18,000 visitors enjoying street theatre, food, wine, music, workshops and books. I caught two of the diverse events of the annual Clunes Words in Winter program: the inaugural Clunes Queer Film Festival, and a spellbinding narrative and slide show by Bruce Postle, one of the greatest Australian photo-journalists of the 20th century. B&Bs here are an art form, and I visited two. Keebles Country House began life as a hotel in 1863 and has been restored to genteel splendour complete with chandeliers and magnificent private gardens. The former Duke of Edinburgh Hotel, dating from 1853, is now the warm and inviting Dukes B&B. The nearby Creswick Mill was established in 1947 and is the last coloured woollen spinning mill of its kind in Australia, producing a superb quality and range of alpaca products. Further on, Lambley Nursery and Gardens at Ascot are recognised internationally and throughout Australia. Set on acreage around an 1870s bluestone farmhouse, the gardens of plantsman David Glen and foremost still-life artist Chris Canning are sensuous and inspirational. Several vineyards and wineries adorn this area, and a convenient cellar door outlet for Mt Beckworth wines in the main street of Clunes spoilt us for choice. A visit to the nearby Talbot Farmers' Market is not to be missed. Stallholders are a tough lot, tucked in around the heritage town's streets, turning up in the most inclement weather. We followed up with lunch at the 1874-era Maryborough Railway Station antique centre and restaurant, with the musical entertainment of an accomplished harpist, and the not-so-surprising roaring fire. I was able to wander around familiar quartz speckled and scarred goldfields, lacey, draping peppercorn trees and among old buildings and graves with silent histories of turbulent times and fortunes won and lost. As I connect again with this country I see what I did not see as a child: How the influx of miners to the goldfields decimated thousands of years of deep spiritual bonds and the sacred sites of the Aboriginal people. My childhood was relatively insulated. With our father a police officer, my brother, sister and I had the run of a courthouse or lock-up to play in, and new friends to be made each time we moved house. We suffered through changes of schools and country cricket games in which Dad played very well, Mum scored, and we ate limp sandwiches in the hot shed on the sideline. Some things don't change in the country. Like the rich sense of community, support and good faith that I see in the small town of Clunes, but I do believe the sandwiches are better.